Rev. David W. Howell, 67, of Delphos, passed away on February 7, 2019, at St. Rita’s Medical Center. He was born July 28, 1951, to Donald and Jacquline (Kinsey) Howell. His mother survives in Spencerville. He married Pamela Mohney on October 31, 1998. She survives in Delphos. He is also survived by a daughter, Alison (Charlie Dearing) Clark of Delphos, and a grandson, Blake of Delphos; a sister, Vickie Howell of Spencerville; one niece and one nephew, and a very special great niece, Rosie of Spencerville. He was preceded in death by his father and a brother, Rick Howell. Rev. Howell was active in numerous community and civic organizations. A 32rd degree Scottish and York Rite Mason, he was a four time past master of Tontogany Lodge and past president of Wood County Shrine Club, a part of Zenoibia Temple in Toledo; a past patron of Tontogany Order of the Eastern Star; a past noble grand of Tontogany Oddfellow Lodge; and a member of the Spencerville Rebekah Lodge. Also active in civic groups, Rev. Howell was a past president of the Nelsonville and Delphos Rotary clubs, the Nelsonville Kiwanis Club and a member of the Delphos Lions Club. Rev. Howell was a community leader wherever he lived; he was often recognized for his service with commendations and awards. In Delphos he is credited for beginning the Delphos Institute of Music, and helping to begin the Community Unity Program. He is also known for chairing the Concerts in the Park Series, the Marbletown Festival, the Habitat Program, and the Friends of the Delphos Postal Museum to name some of his local projects. He also chaired the local Thrift Shop Board through its demolition and new building. 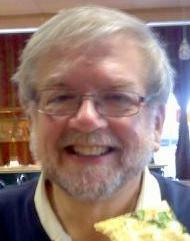 Within the United Methodist Church he served as Youth Pastor at Grace UM in Lima and Broadway UM in Toledo. He was a Pastor of Holland, Tontogany/Weston, Nelsonville/Butchel, Delphos Trinity and Delphos JUMP ministries. Currently, he had been pastoring at Elida Zion Methodist Church and Kossuth Zion Methodist Church. He served hundreds of people with dedication and faithfulness to Christ. Rev. Howell never met a stranger or a strange faith. Funeral Services will be Monday, February 11, 2019, at 10:30 a.m. at Trinity United Methodist Church in Delphos. Burial will follow in Spencerville Cemetery. Visitation will be on Sunday from 2:00 – 8:00 p.m. at Harter and Schier Funeral Home and one hour before the services on Monday at the church.